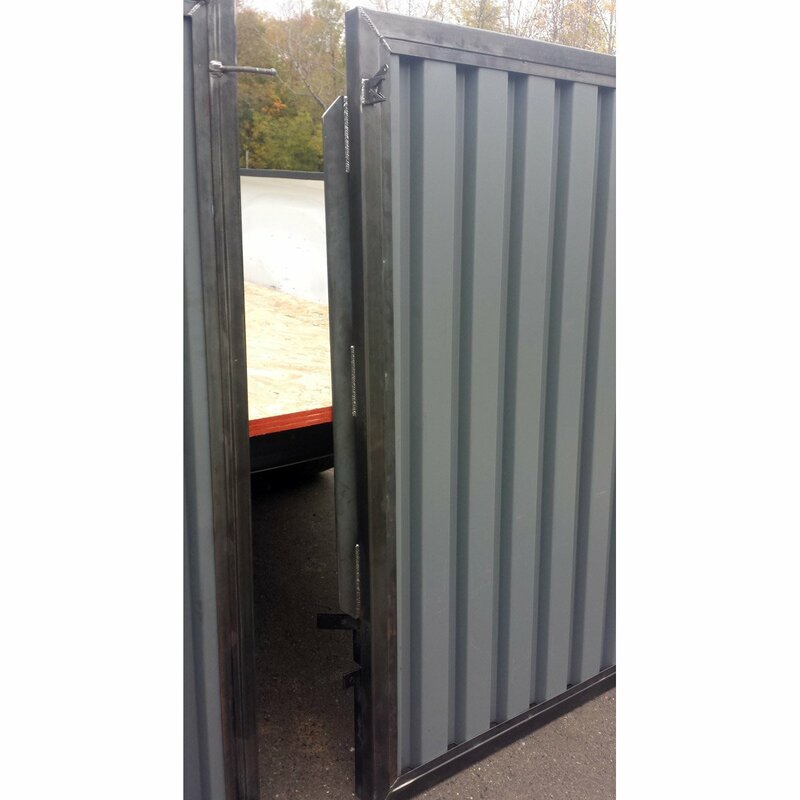 Custom Gates | Cutting Edge Metals Inc. This gate features your address or anything else you'd like it to say. 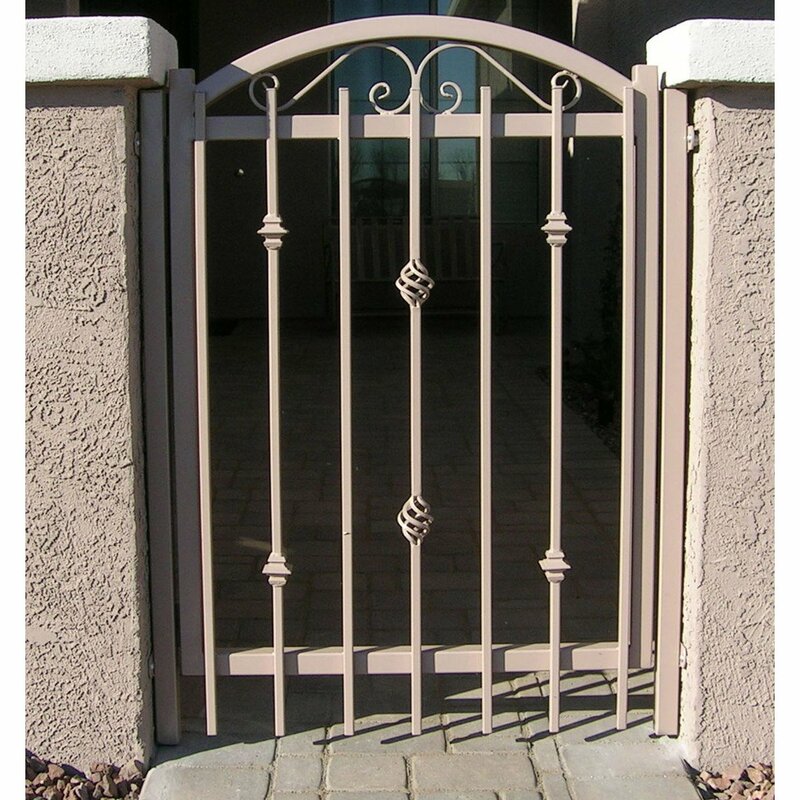 A very classy gate that provides a barrier between areas you need one. 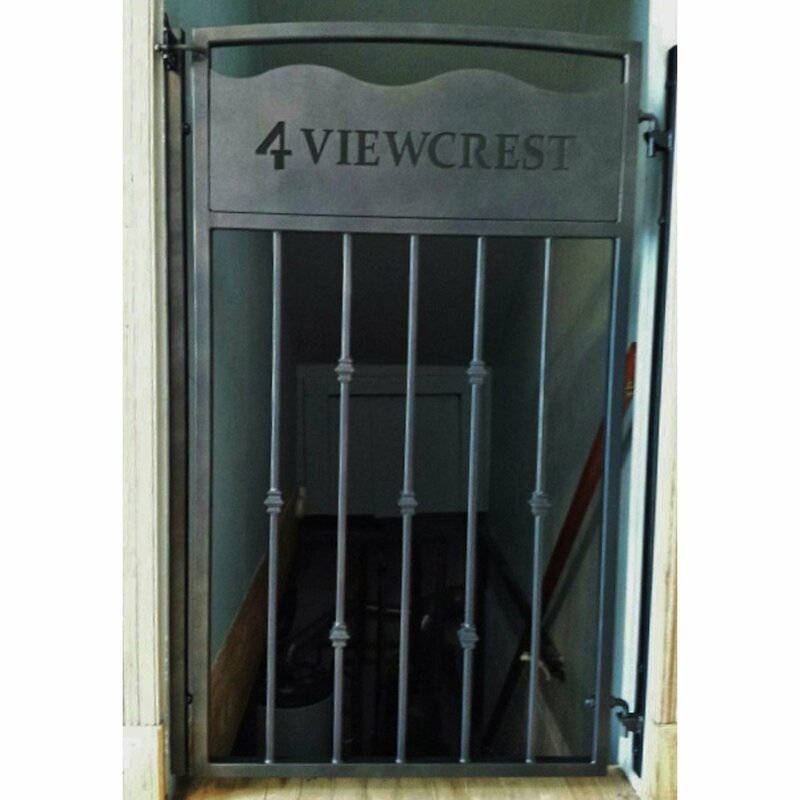 Made of solid steel, with a custom design in the top, this gate also has a slight arch at the top, giving it that classy, rich look. 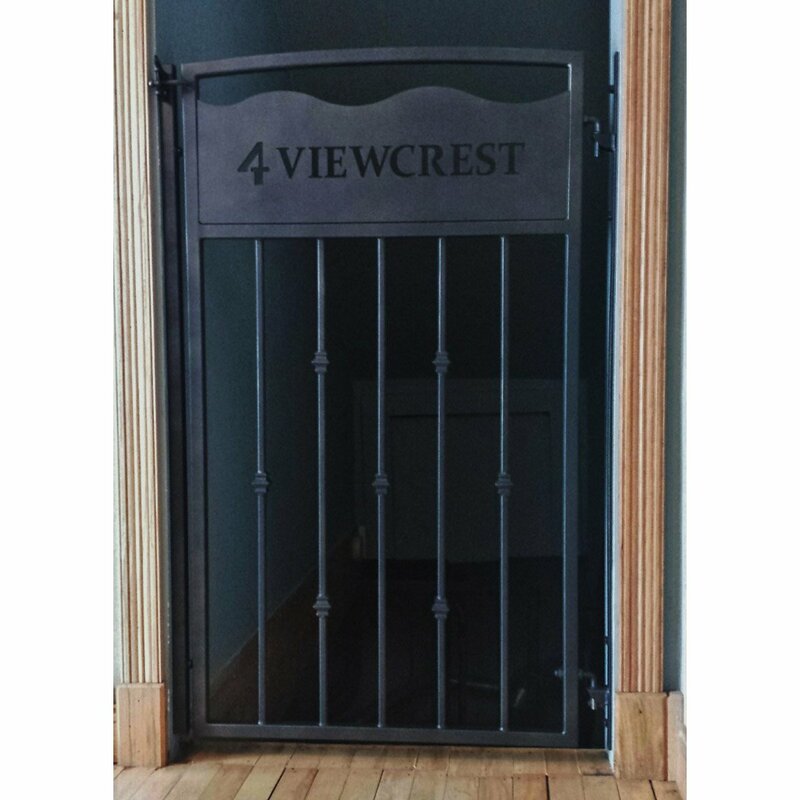 Coupled with a rubbed black/brass finish, this is the perfect statement in your custom home. If you'd like to order some, give us a call at (715) 718-0781. This gate gets a lot of compliments. This gate is for the "outdoorsy" types. 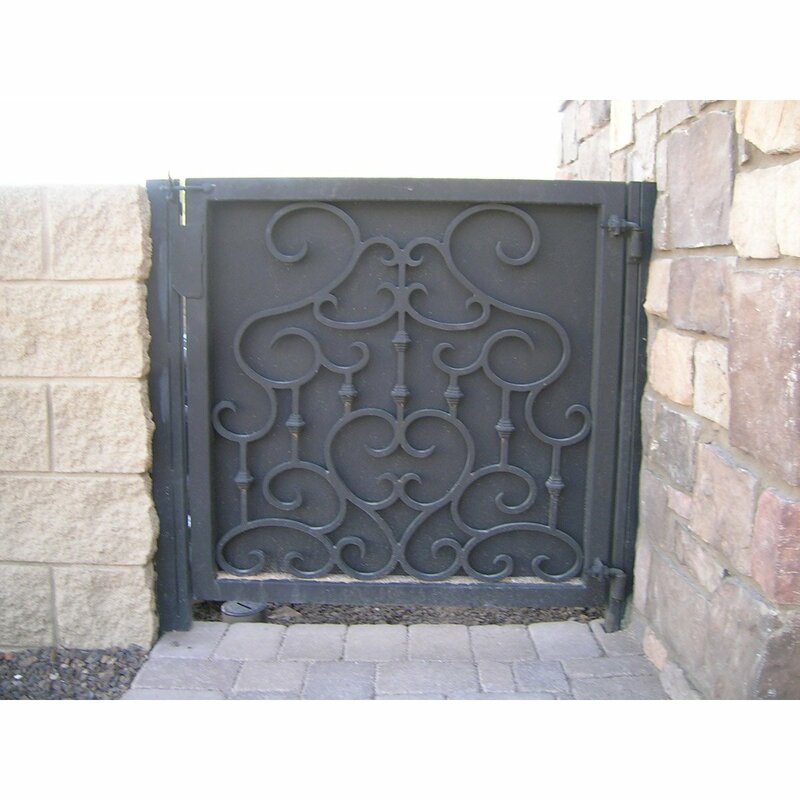 A very unique wrought iron gate. Beautifully designed to fit in with a cabin or woodsy residence or business. This gate is not your common gate. If you'd like to order some, give us a call at (715) 718-0781. 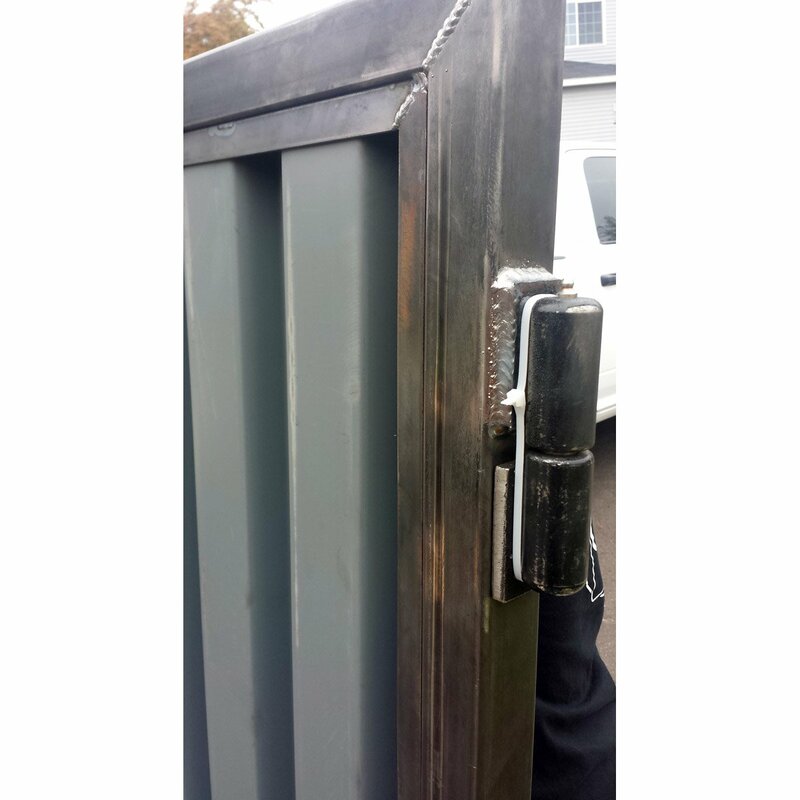 A very nice privacy gate, made of steel and wood. 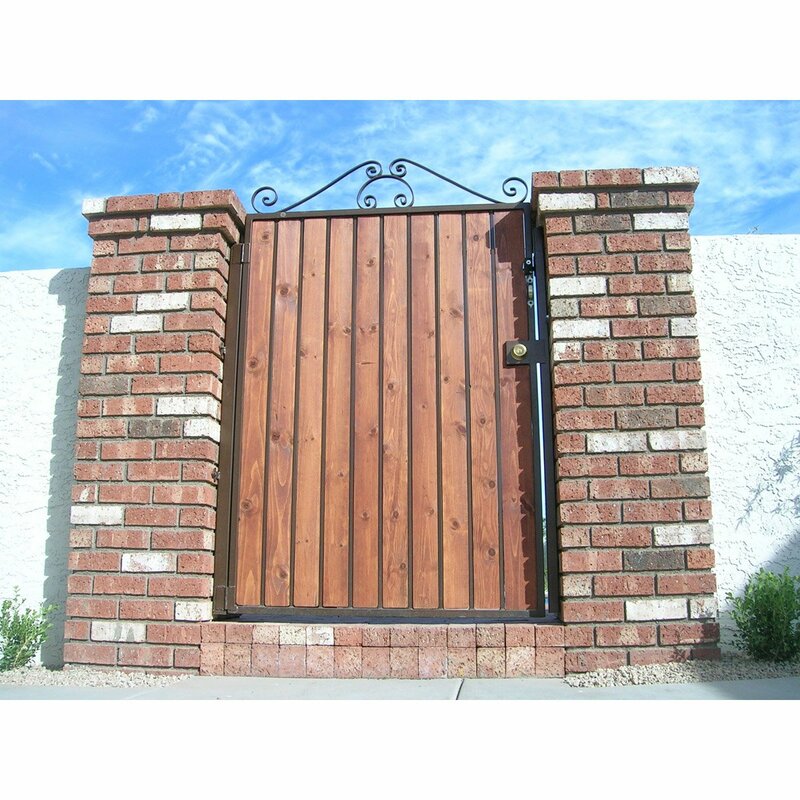 A true quality gate, custom made to fit into your space. 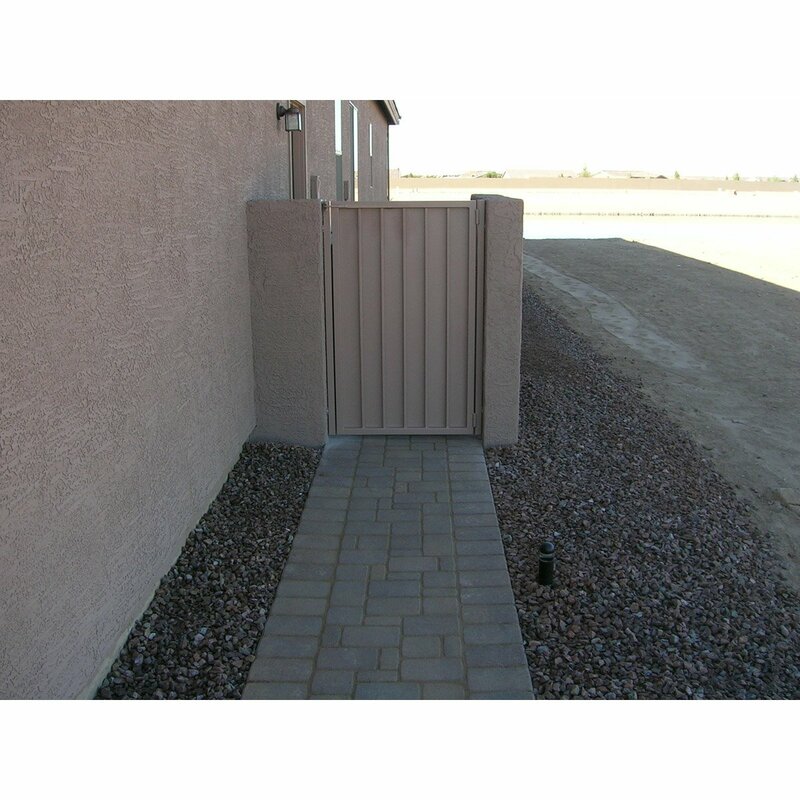 If you need privacy, you'll love this gate. If you'd like to order some, give us a call at (715) 718-0781. 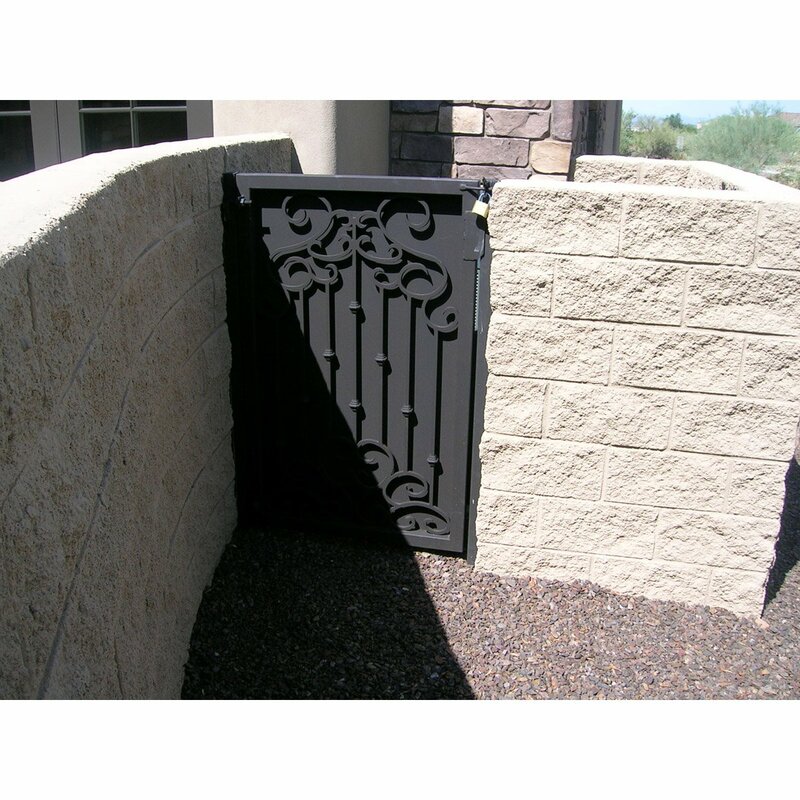 A trash enclosure not only protects your garbage cans from being used by others but hides them as well, making your property more attractive. 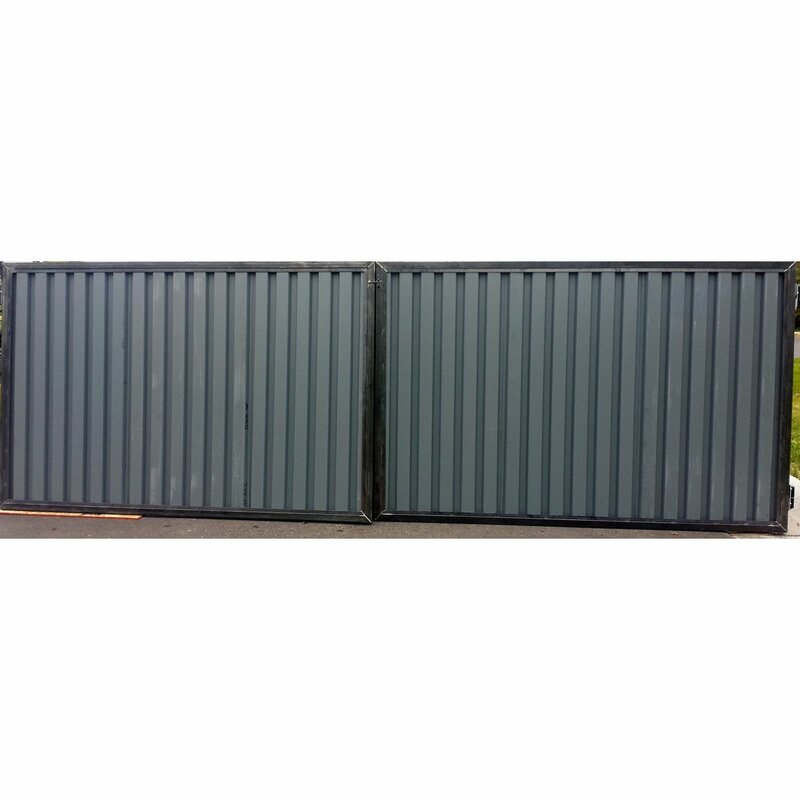 We specialize in making trash enclosures for corporate and commercial properties, apartment complexes and any other business that needs them. 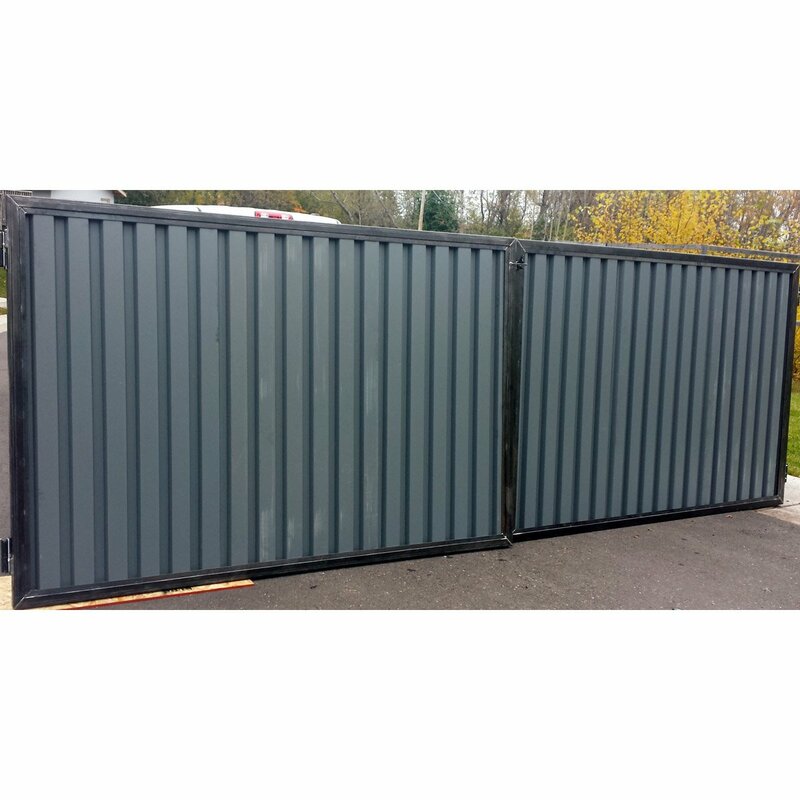 We can either make them and ship them to you or we can install them for you if needed. If you'd like to discuss your project, give us a call at (715) 718-0781. 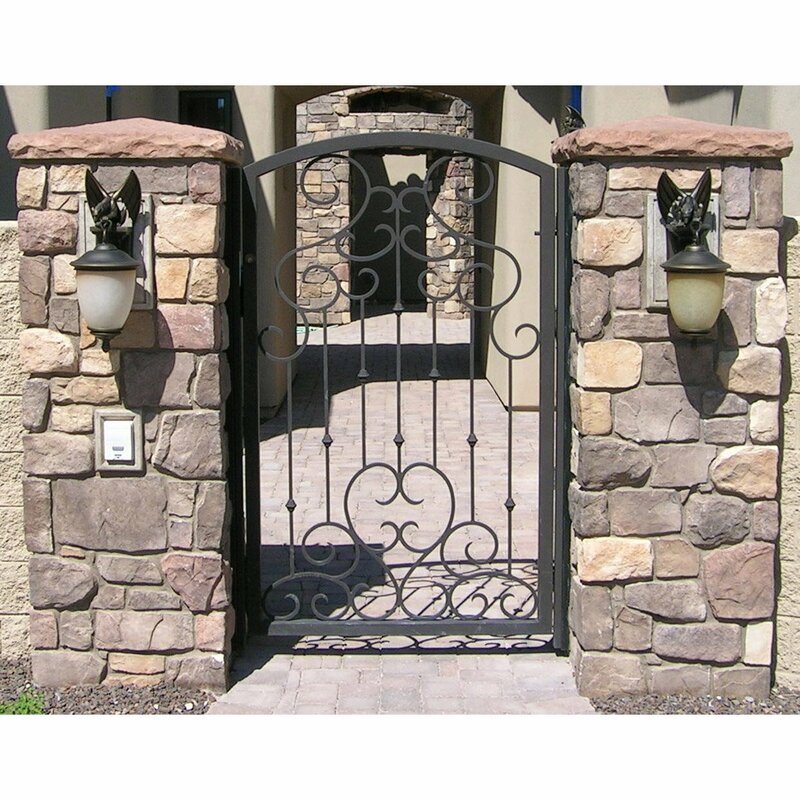 This gate has twisted baskets, along with a knuckles to add some class to your walkway. These are always custom made to fit your space. If you'd like to order some, give us a call at (715) 718-0781. A basic gate to close off a space. We can make this any size and shape. If you'd like to order some, give us a call at (715) 718-0781. 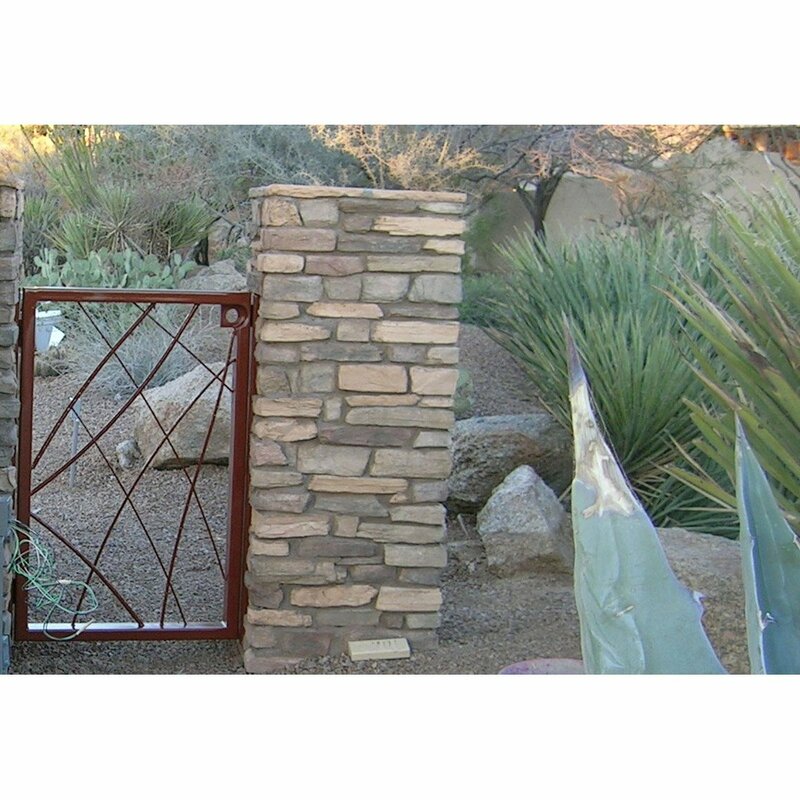 This is a neat gate that will get compliments and a lot of attention. The bottom of this gate is "meshed" off for small dogs but can be left open. 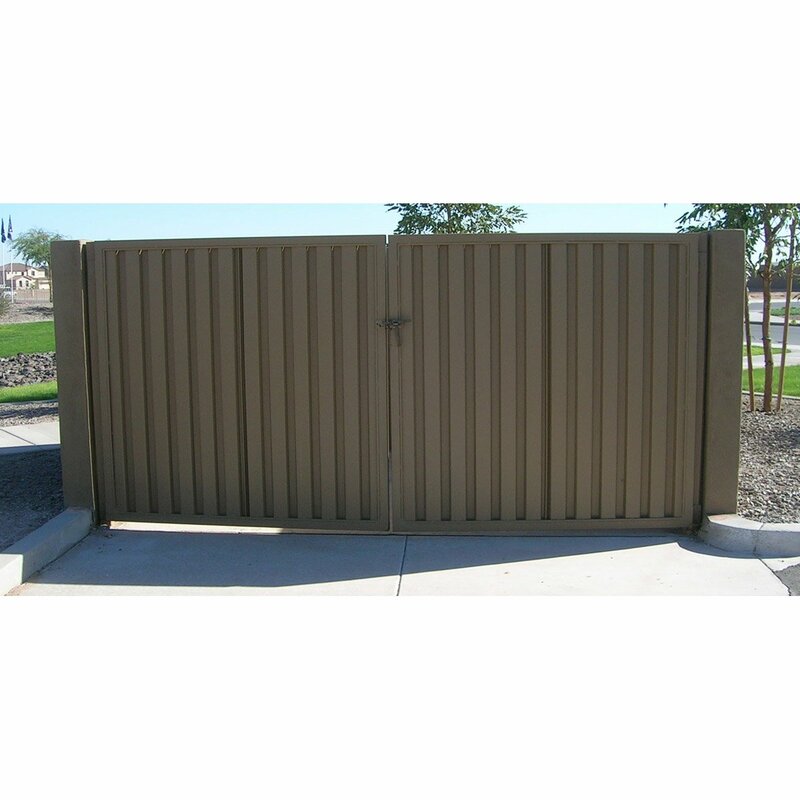 Great gate for modern apartment complexes or developments. If you'd like to order some, give us a call at (715) 718-0781. 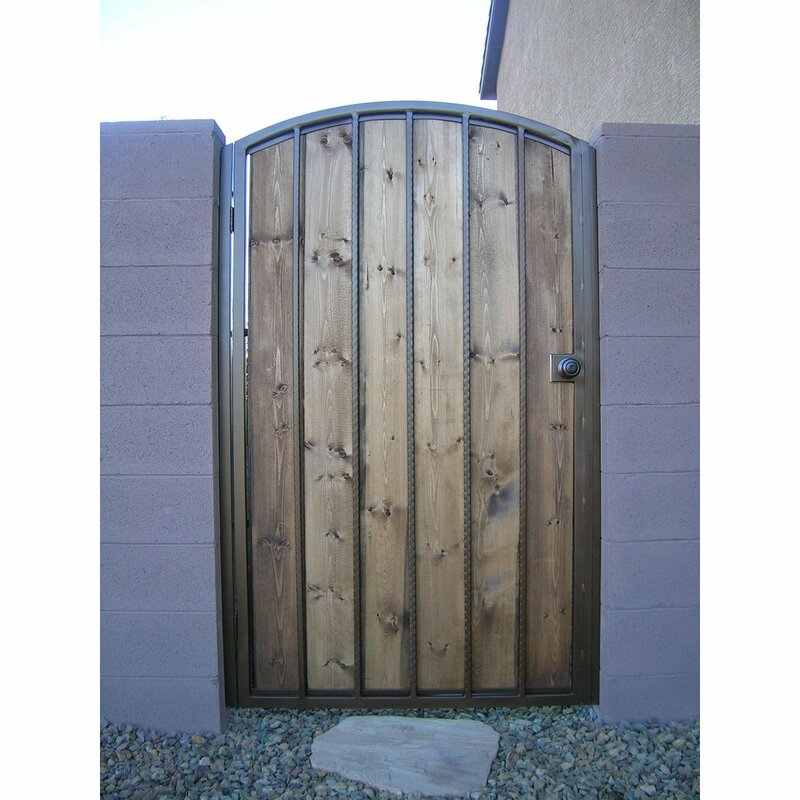 This gate has a nice privacy featuring wood, topped with scroll work. 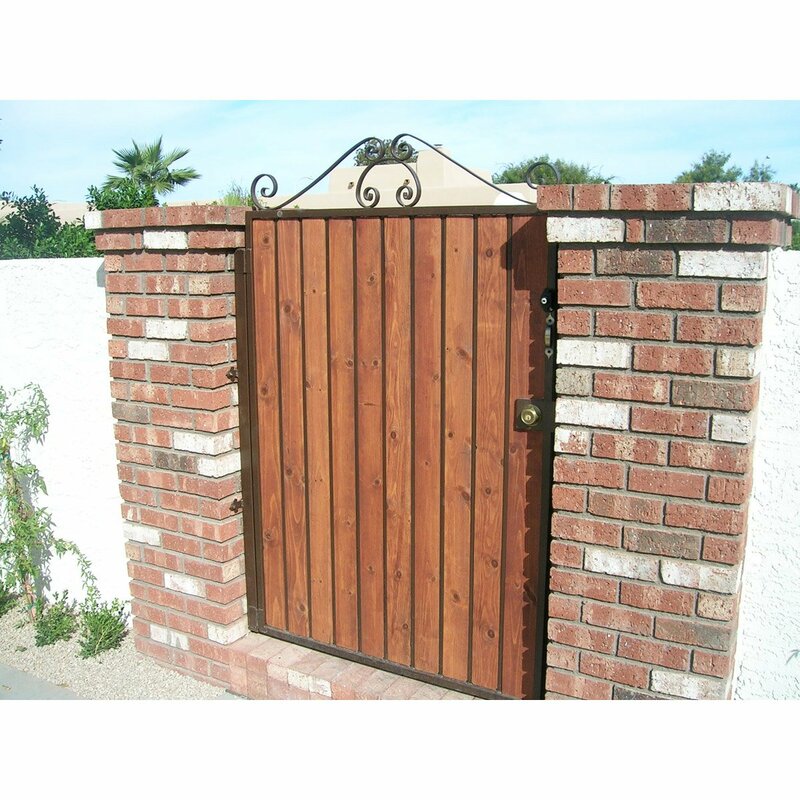 If you have a space to close off, this is a nice wrought iron/wood/scroll gate to do so. If you'd like to order some, give us a call at (715) 718-0781. This type of gate is custom made. 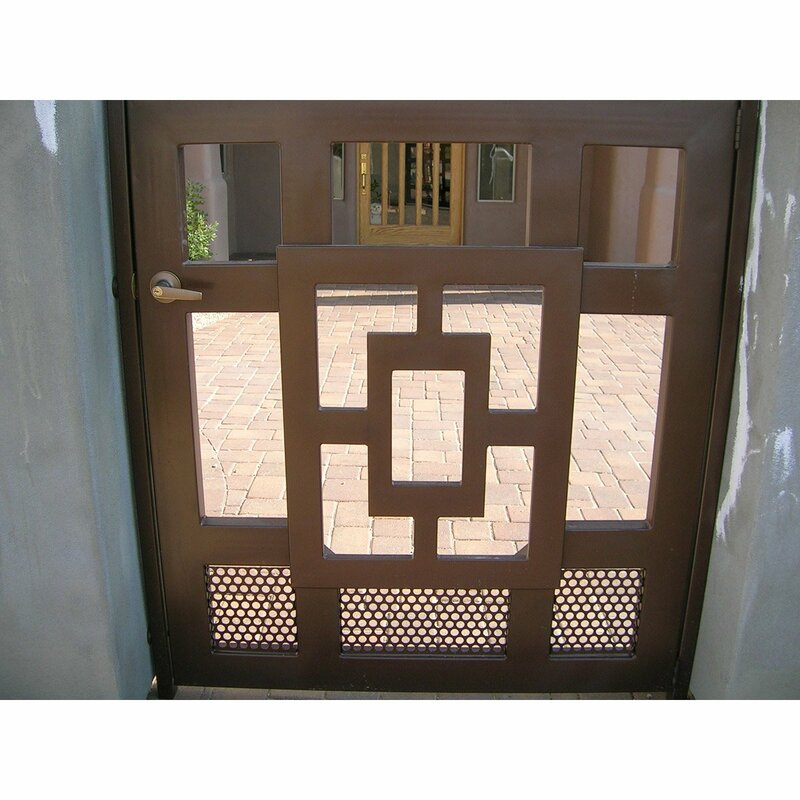 We design the scroll work to fit within the space allowed for the gate, cut it out and and install it into the frame of the gate. 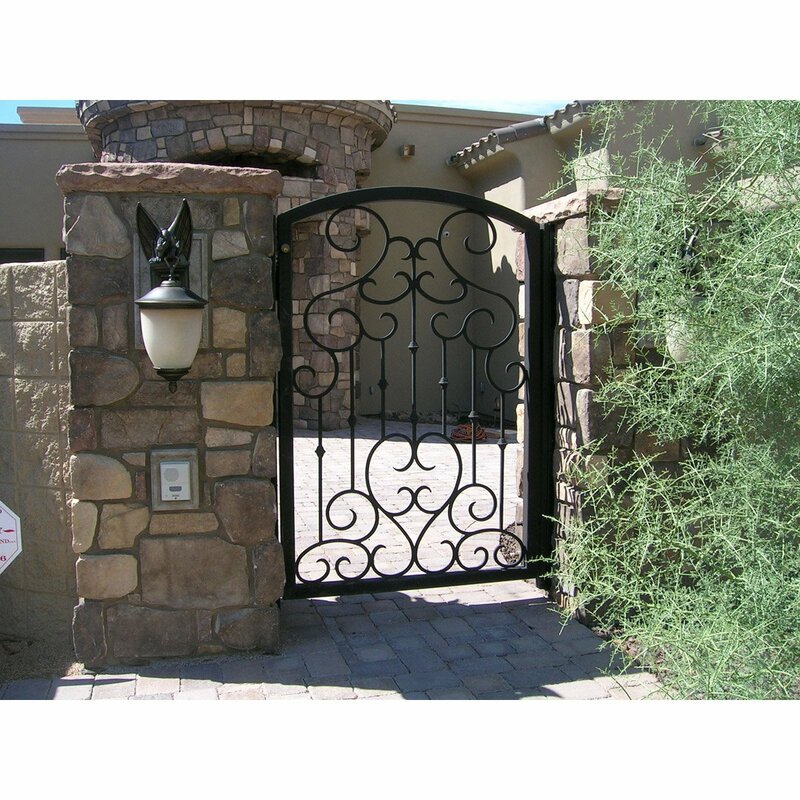 You will not believe the compliments that will follow once you have one of these wrought iron gates installed in your home, cabin or business. If you'd like to order some, give us a call at (715) 718-0781. 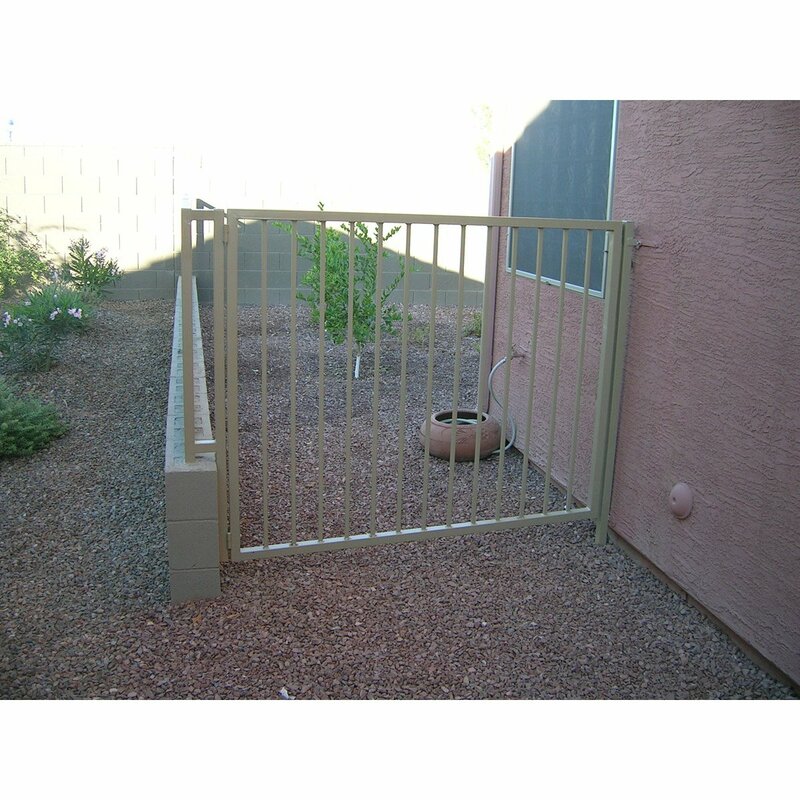 Get your initial cut out and welded onto this custom gate. This has twisted pickets and a nice design. 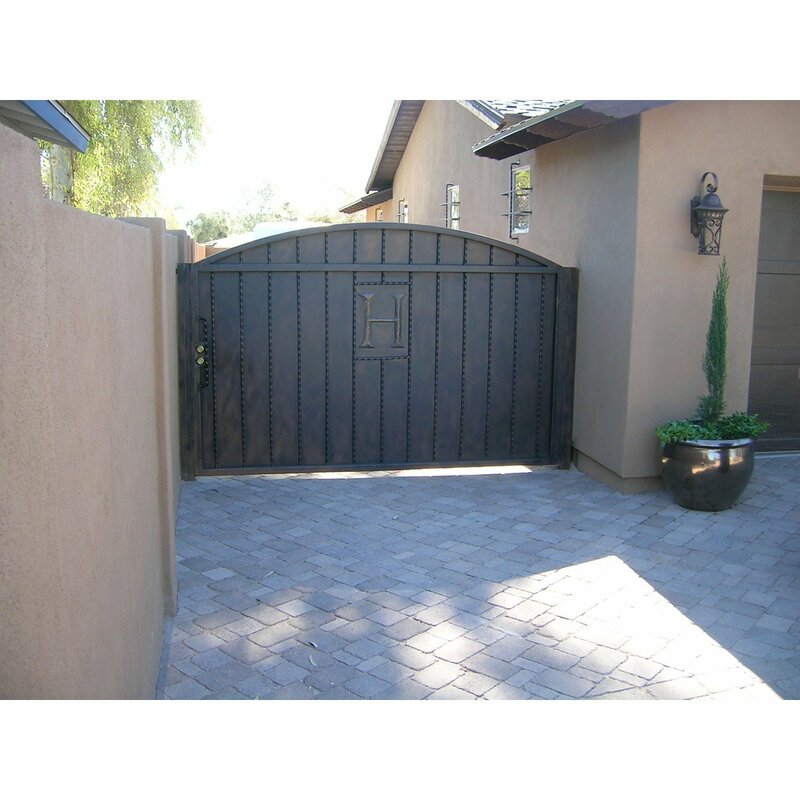 Custom made to fit your space, you'll love this gate. If you'd like to order some, give us a call at (715) 718-0781.